If you spend time on weight loss and fitness blogs, you’ve probably heard of Low-Intensity Steady State (LISS) cardio. But exactly is LISS? And does it have any benefits over other types of training? Let’s find out. We’ve talked a lot about the benefits of high-intensity interval training at TheHomeGym.co.uk. But it’s not the only way to lose weight or get in shape. 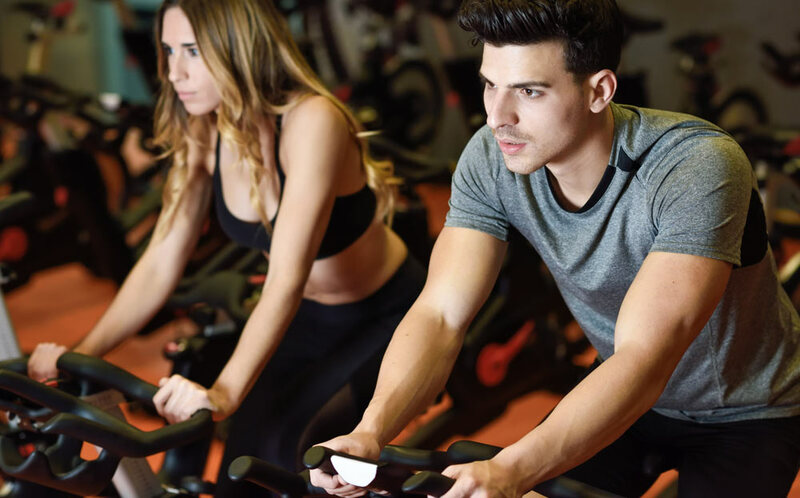 Low-intensity steady state workouts have become something of a hot-topic in the fitness world in recent years – and a stationary bike makes it easy to perform this type of exercise at home. Here’s everything you need to know about this popular form of workout. 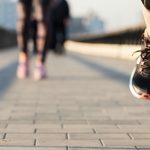 What is Low-Intensity Steady State Cardio? Take everything you know about HIIT – short intervals, high intensity, alternating difficulty – and flip it. That’s pretty much LISS. The aim of a LISS workout is to get your heart rate to around 45-60% of its maximum and keep it there for an extended period. In practice, this means exercising at a single pace and intensity for your entire workout (hence “steady state”). As you can imagine, it’s a much more relaxing type of workout. It’s not easy, as you’ll be cycling for a long period, but it’s certainly less stressful. Both LISS and HIIT have been shown to have many of the same benefits (although there are differences in efficiency which we’ll get to later). They can improve the health of your heart, increase general fitness levels, lower cholesterol and improve insulin sensitivity. Unlike regular cardio (exercising at a medium-high intensity for extended periods), LISS and HIIT are both useful for losing fat without decreasing muscle mass. One of the biggest supposed advantages of LISS is that low intensity exercise is thought to force the body to primarily burn fat instead of carbohydrates. So if your goal is to lose weight, LISS is a useful workout to include in your weekly plan. A LISS workout is also less stressful on your joints. Exercise bikes are low-impact anyway, but LISS is particularly good for recovery days. 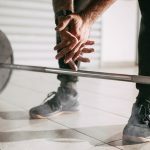 You can also use it two days in a row, as your body doesn’t need as long to recover, and it’s a great beginner exercise for people who don’t feel ready for higher intensity workouts. There are some downsides to LISS workouts that shouldn’t be ignored though. LISS isn’t as effective for improving cardiovascular fitness as HIIT. Studies that compared the two have also found HIIT tends to burn more fat than LISS. In a study of 2500 people, those who did HIIT had less abdominal fat and a lower body fat percentage than those who only did LISS. HIIT workouts are also thought to cause your body to burn calories for hours after you stop working out, while LISS only burns calories while you’re exercising. For these reasons, LISS shouldn’t be your only form of exercise. If you stick to low-intensity workouts, your body won’t get a chance to adapt to higher intensities. You also won’t burn as much fat. That doesn’t mean LISS should be ignored though. Both types of exercise can help you lose weight, and LISS is more relaxing and less taxing on the body. On a side note, some people find LISS boring compared to high-intensity workouts. The good news is you can easily watch TV as you don’t need to focus as much as higher intensity workouts. The key to an effective LISS workout is keeping your heart rate at around 45-60% of its maximum. This means your workout shouldn’t be easy, but it also shouldn’t be too taxing – aim for around a 4 out of 10 in terms of effort. 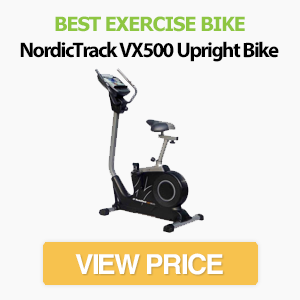 Most of the best exercise bikes have a built-in heart rate monitor, but you can also buy these separately. Once you’ve found a pace that allows you to hit your target heart rate, maintain consistent effort until the end of the workout. We recommended starting with a 30 minute workout. Once that becomes easy, gradually increase the total time until you hit a maximum of 60 minutes. Over time, you’ll also be able to increase your pace without feeling like you’re working harder. The great thing about LISS is that you can use any type of exercise bike (or other cardio machine for that matter). Even a folding exercise bike is fine, as you don’t need to worry about tipping over at high speeds. Recumbent bikes can also work well. You don’t always need to feel close to death by the end of a workout to lose weight. Low-intensity steady state cardio can be effective at burning abdominal fat, while providing many of the same benefits as HIIT. That doesn’t mean LISS is as effective as HIIT for cardiovascular fitness and fat loss though. But let’s face it – HIIT isn’t always the most enjoyable experience! If you want a more pleasurable workout that can be used when you’re not in the mood for a more intense session, or if you’re not physically able to complete a HIIT workout, LISS is a useful alternative. Bottom Line: We don’t recommend using it for all your cardio workouts, but one or two LISS sessions per week can be a good time investment. It can also be used to burn extra fat on rest days if you’re already training 3-5 times per week.